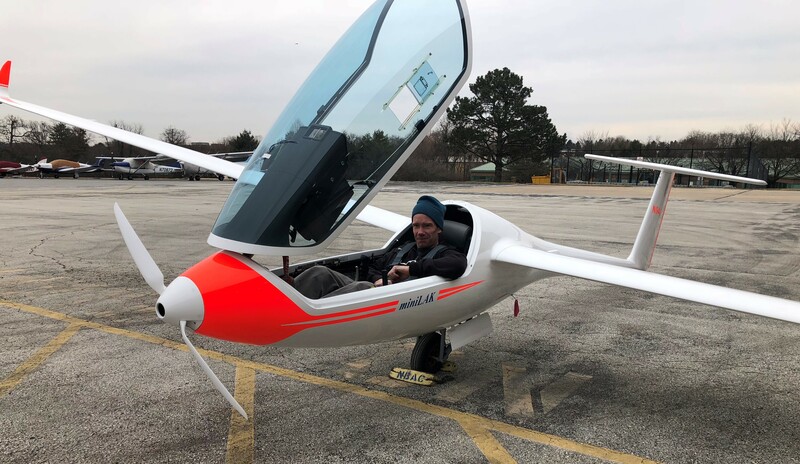 Blanik America, Inc. is the exclusive distributor of LAK sailplanes for the U.S.A.
BLANIK AMERICA has started delivering the long-awaited miniLAKfes self launchers to America. Note. All prices listed are subject to change until firmed in a Purchase Agreement and the Order Deposit is transferred. The prices shown indicate the last sale. Call or email Blanik America for the latest price update. Congratulations to the latest new owner of miniLAKfes self launcher, Justin Shaw. Look at the happy grin on his face. Photos courtesy of Justin Shaw. Click on the images for larger view. One of the new owners, Jamie Shore, has been kind enough to permit us to share with you his experiences. See for yourself by logging onto OLC and view Jamie's flights. CLICK HERE - miniLAKfes flights on OLC. 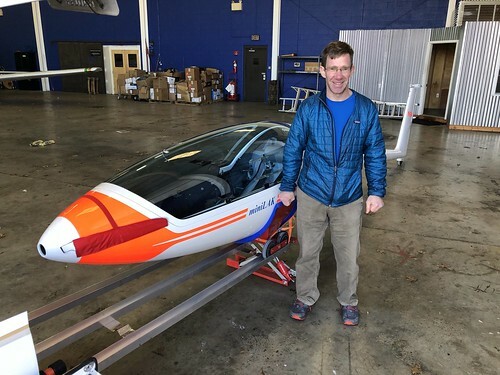 Congratulations to the first U.S. buyer on ordering the LAK-13,5 Mini ! Here are more photos of this excellent new glider. Click here. LAK-17B FES received the EASA Type Certificate. On October 31, 2014, the European Aviation Safety Agency issued the Type Certificate for the LAK-17B FES. 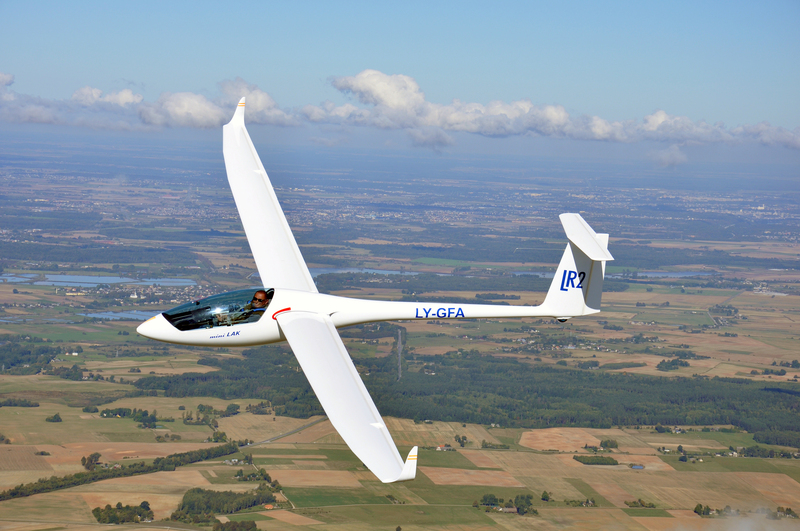 We are excited to announce the availability of a brand new wing extension for LAK17B gliders. 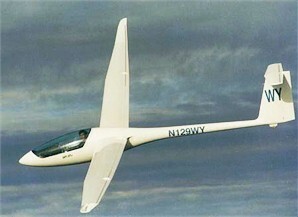 The wing extension increases the wing span to 21 meters, making the LAK17B an Open Class glider in that configuration. This increases the versatility of LAK17B in addition to its 18 meter and 15 meter wingspans which have been available already. An introductory incentive is available to first five worldwide buyers ordering the 21 m extensions during the month of September. Five-page article with photos published in the March 2013 issue of the SOARING magazine. The high performance racing sailplane LAK-17B with electric propulsion was exhibited at the Soaring Society of America Convention in Reno during the first week of February 2012. Picture presentation LAK-17B FES at Reno . Read more about the LAK-17B FES here. There is quite an active group of owners and interested pilots, focused on the LAK high performance sailplanes. The owners publish comments and photos, and keep in contact with each other through the LAK-17 newsgroup. Click here to send us a request for additional information. If you have not contacted us before, please make sure to add your name, name of your club or school, your function there, address, phone and fax number. Please be specific about what information you need, so that we can best help you. Copyright © 1996 BLANIK AMERICA, INC.